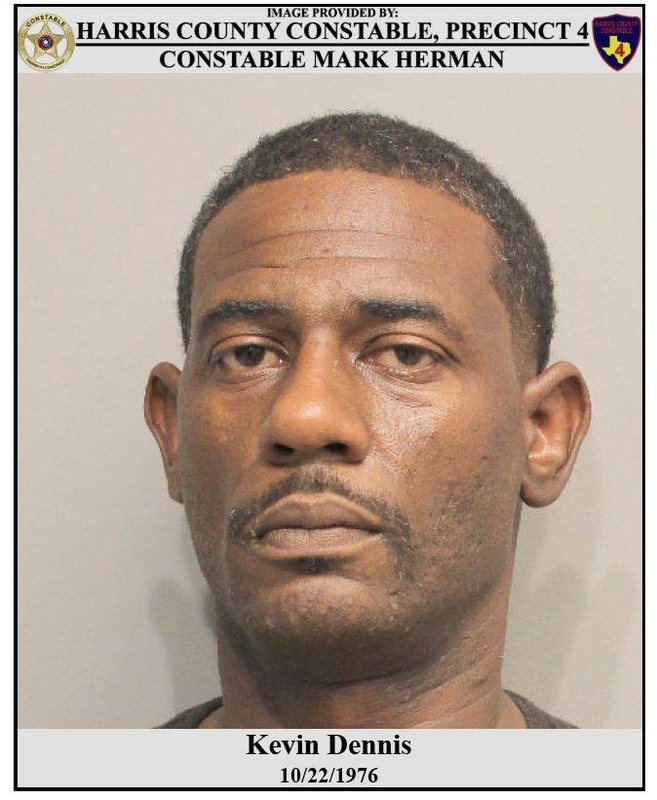 On April 4, 2019, deputies with Constable Mark Herman's Office responded to the 21000 block of Kuykendahl Road in reference to a male attempting to withdraw funds from a bank account that did not belong to him. Upon deputies arriving, the suspect fled away from deputies on foot. After a brief foot pursuit, the suspect was apprehended and identified as Kevin Dennis.